Win this prize, and you'll be able to host an evening worthy of Vivi, Farnham, and Dr. Breen. So waste no time and go ahead and enter below! This is an awesome party pack to go with your book! Can't wait to read it! I'm so excited that the fifth is finally here! I had a quick question: When, for the giveaway, you say write a review do you mean for "Anon, Sir, Anon"? Favorite thing about autumn: the weather. I love the cooler temperatures, the fact that I need a jacket when I go outside. It's good weather for snuggling. I love the crisp air and the gusty winds. Other things that I like: the colors (leaves and such), the way the sky looks in the fall, the smells, the feeling of joy in the harvest and settling in for the winter. It's so cozy. You have so many lovely quotable bits in your books! But so far, this is one of my favorites: "Sure, at heart I wanted to be a Dickens,but I hated being great on command." Ghost: A review of any of my books is perfectly great! I tip my hat to you Rach, I don't think I have the brains to write a mystery. I am so thrilled for you! My favorite thing about autumn is the fact that everyone likes to cozy up and read and watch movies. My favorite thing about Autumn? Nearly everything, considering it is my favorite month. :) I have to admit what I love most is that specific autumn *smell* and the breezes and cooler weather we finally start to get. My favorite thing about fall is the crisp air—perfect for wearing sweaters, what? 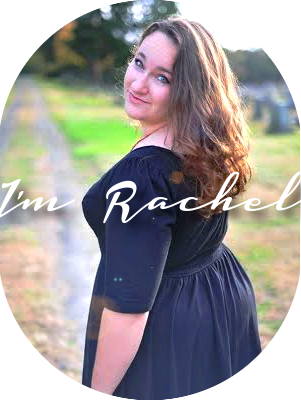 Extending my sincerest congratulations, Rachel! I am sitting on pins-and-needles waiting to read "Anon, Sir, Anon" (Christmas needs to arrive. O.o) and I am so very happy for you. Three cheers and a jug of cider! • The enhanced beauty of the countryside--even the City takes on an almost Fairytale aura! I own a copy of Fly Away Home, but I don't have an instagram or twitter- would it be okay if I pinned a pic of myself with the book on pinterest? I have heard so much about this book! Thanks for the giveaway!! I thing I like most about autumn is all the planning for the upcoming holidays. :) The anticipation is so much fun! I follow! But I have yet to get my hands on one of your books :[ Heard a good bit about them, though! 1) I follow your blog! 2) My favorite thing about Autumn is the leaves, the cold noses, and the nostalgia. 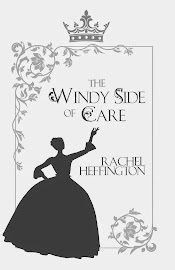 3) There are many, many quotes from your books that I love, but this is probably my favorite as well: "Sure, at heart I wanted to be a Dickens, but I hated being great on command." 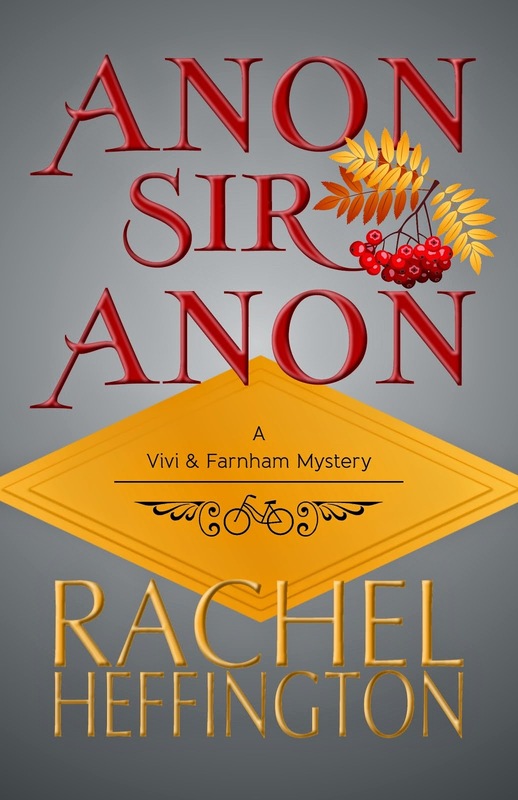 Congratulations on ANON, SIR, ANON's release, Rach. ^.^ It's seriously my favorite of your stories yet. My favorite thing about autumn would be the bittersweet emotions that ran rampant in the air- as if the leaves are whispering their brilliant, final farewell and I can't help but feel a little sad, and yet stand in awe of the beauty around me. Hooray! Hooray! And congratulations! I am very excited about the release of "Anon, Sir, Anon". My favorite thing about autumn would have to be when the leaves change color. Is this giveaway open to international readers, Rachel? 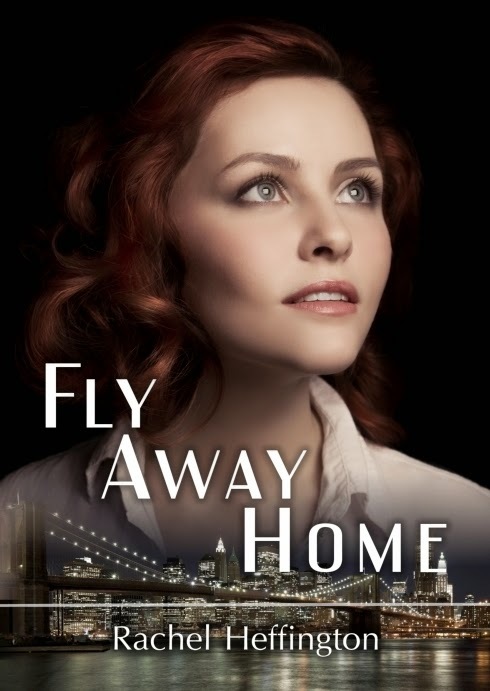 Oooh, and I own a copy of Fly Home, and wrote a review for "Anon, Sir, Anon". . . will have to see if I can leave the links soon! Oh, I think my favorite quote would have to the one on not liking being Dickens on demand. I believe writers can sympathize heartily with Callie on that one. There was another one I really liked but I could not find it when I skimmed through the pages looking for it. By the way, I own "Fly Away Home" but I have neither a Twitter account or an Instagram. Is there another way I can do that particular entry? Aaaaah that is so exciting! Congrats!!!! This giveaway sounds great! Fingers crossed! alacrity and a passing frown. “Which corner?” she pressed quietly. His face eased into a waggish smirk. “Haven’t the foggiest. Allen, what light from yonder window breaks? (16)"
>> I am kind of attached to your use of bang, it comes at the most brilliant and appropriate times. my favorite thing about autumn are the pumpkins! So glad it's out! Cannot wait to read it. My favorite thing about autumn. Hmm... I like the temperature and the colors. Alrighty! Here goes... My favorite thing about autumn is definitely apple cider. It tastes so good, tangy and sweet and cold. I also love the cozy darkness that encourages thick books (or cozy mysteries!) and warm sweaters. I follow the Inkpen Authoress! And I'm leaving a review on Amazon of Anon, Sir, Anon. My favorite thing about autumn is the beauty of the leaves as they change from green to gold, crimson & orange. God has given us such wonder of beauty to behold. I also enjoy the smell of leaves being burnt.